in this May 12, 2016, file photo, lawyer Amal Clooney (left) and actor George Clooney attend a screening of "Money Monster" at the annual 69th Cannes Film Festival in Cannes, France. George and Amal Clooney are donating $1 million to fight hate groups. 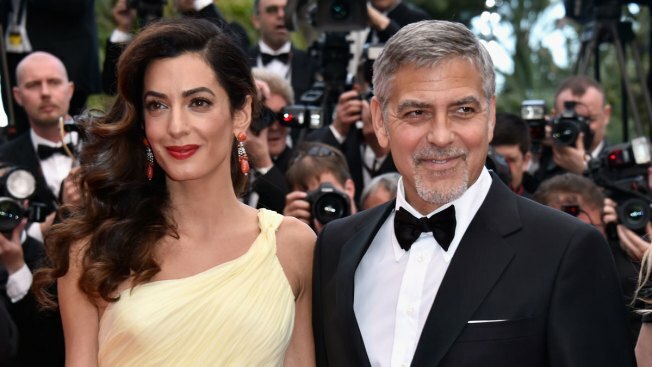 The couple announced Tuesday that their Clooney Foundation for Justice is supporting the Southern Poverty Law Center with a $1 million grant to combat hate groups in the United States. George Clooney says in a statement Tuesday that they wanted to add their voices and financial assistance to the fight for equality. Clooney said, "There are no two sides to bigotry and hate." The Southern Poverty Law Center monitors the activities of more than 1,600 extremist groups in the U.S. and has used litigation to win judgments against white supremacist organizations. Last month, the Clooney Foundation announced a $2 million grant to support education for Syrian refugee children.